Do You Play the Mileage Upgrade Game?? Mileage upgrades are a great way to get to the front of the plane if you are not an elite member. I will mention that while most miles/points junkies frown on this use of miles, generally (for longer flights) I find it to be very practical. Who doesn’t want to enjoy all that first class usually offers-a wider seat with more legroom, waived fees, often a decent meal, and an “enhanced” beverage selection? I bring this up because this is how I got into the miles and points game a while back. I started flying a lot when I was attending college 1,500 miles away from home. 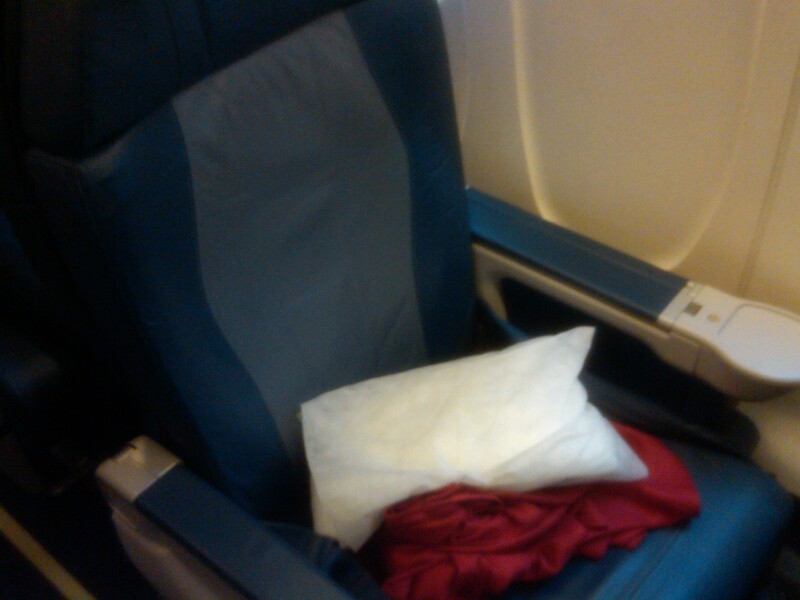 However, I soon became eager to extricate myself from cattle class. A few summers back I was making a cross-country trip to a friend’s wedding. I naively thought this would be an opportune time to put to use my hard-earned miles to get me to the front of the plane. However, I was in for a rude awakening–one in which I would soon learn from: Be careful about which fare class you book into. Soon after booking, I called Delta to check about upgrading my ticket using miles. Much to my chagrin, I was informed that I had purchased a deeply discounted ticket which was ineligible for (non-elite) upgrades. 1) Being a elite member (Medallion as it is called in the case of Delta) with an airline. As I will describe in a later post, airlines often provide upgrades to their elite members, pending availability, based on elite tier and fare class paid, as outlined here for Delta. 2) Purchase a ticket in a premium economy fare class – Y, B, M, H, Q, or K. Terms & Conditions for Delta Upgrade can be found here on Delta’s website. A listing of all Delta booking fare classes can be found here. For most domestic fares Delta, requires 12,500 miles, each way to upgrade. If you are on full-fare coach however, it is only 5,000 miles each way. I will make another post for providing information about mileage upgrades on major domestic carriers like Delta, in addition to a few international carriers. I remember a trip last year when I traveled cross-country with my family. They thought I was crazy for paying slightly more for my ticket–until they noticed my ticket was in First class and I was able to waive their baggage fees by checking them as my own. 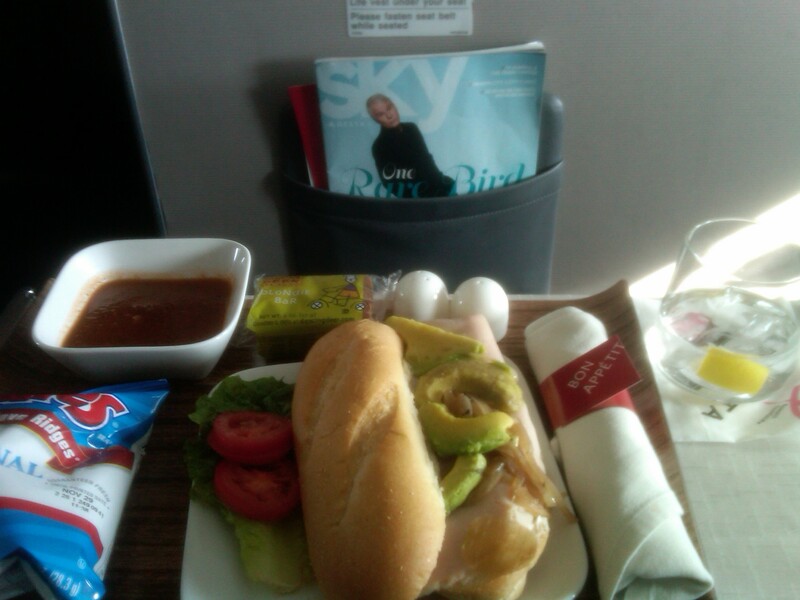 Not bad for food at 30,000 feet! Thus, if you are not an elite member on an airline mileage upgrades are an incredible way to get “premium” service. If if you are an elite member, mileage upgrades can still be useful to you. I just recently made Gold Medallion on Delta , and absolutely love it . But there are those unfortunate times when few upgrades are available, and it can be a very wise idea to make your miles work for you via mileage upgrades. Which brings me to my strategy. If a flight is only an hour or so long–like my recent flights between I took between Atlanta and Chicago, I don’t find it practical to use miles to get into first class. Generally, if I know that a will be flying 2-2.5 hours +, I look for ways to enhance my flight experience. So do you play the mileage upgrade game? Wow, TPG was spot on about you and your writing. You don’t even proof read, do you?! Thanks for taking the time to take a look at my blog. I am just getting started so any readership is welcome. Also, thank you for the constructive criticism–proof reading is not always my forte. I greatly appreciate your willingness to assist me with editing, really I do. Also, I am honored to hear the The Points Guy would actually look at my blog, as I hold him in great esteem. May I ask what he said about both me and my writing? I am willing to recognize that I may need some work to improve myself as a travel blogger. Again Kyle thanks for taking the time to point this out to me. I may sound sarcastic, but I genuinely appreciate the feedback!